The Runestone Museum Foundation has been inspiring curiosity about local history and heritage for more than 50 years. The World Famous and controversial Kensington Rune Stone was the Runestone Museum’s only artifact when it opened its’ doors in 1958. Since then, the museum has grown to include additional artifacts found in Minnesota that relate to Middle-Age Nordic explorers. The 40 piece collection includes the Climax fire steel, found in Climax, Minnesota that was part of the Middle Age Nordic collection at the University Museum in Oslo long before the discovery of the Kensington Rune Stone. The Climax fire-steel is one of the only Middle Age Nordic fire steels on display in North America. Our Children’s Discovery Room is an area that promotes education through active play. Kids can play games, play dress-up, design a Viking Shield, learn the Rune alphabet, and imagine what it’s like to be a homesteader as they decide which goods to load in their wagon. 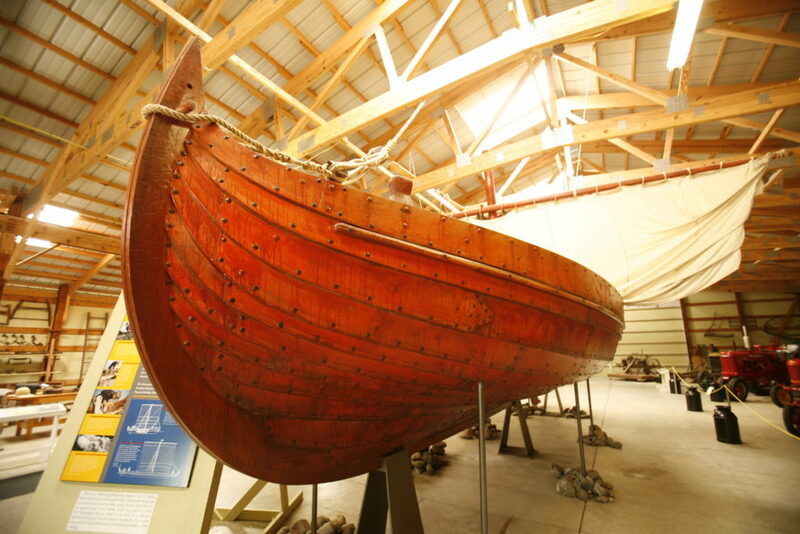 Enriching our Scandinavian Heritage Exhibit that explores the regions rich emigrant history, is a forty foot replica Viking trading ship that is housed in Fort Alexandria, the open air portion of our museum. Fort Alexandria represents the fort that was commissioned in 1862 during the Dakota War and the Civil War. The nine historic buildings, all originally built between 1860 and 1910, represent what fort life was like for the first European settlers in the region. Fort Alexandria is open April 1 to October 31. In the First Peoples exhibit, an original 1920s Tinkle Cone Dress is on display; only four such dresses exist in North America. Visitors can also explore Minnesota’s natural history. We have a Minnesota Wildlife Exhibit, complete with animal sounds and habitat information. Whether you’re interested in history, heritage, or the natural sciences, the Runestone Museum Foundation is sure to inspire your curiosity. Call us today to reserve a date for your next field trip! Lesson plans and additional activities available!